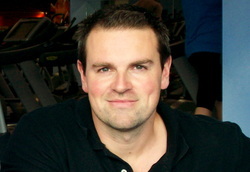 Brandon has been working as a fully qualified personal trainer in and around the Gloucestershire area since 2007, He has helped many people to achieve there fitness goals and massively improve there health and well being. Brandon Started work as a personal trainer within a large mainstream gym in Cheltenham, but left due to the hectic atmosphere and stressful workings of such a gym, Brandon started his own business training people within the comfort of their own homes, and at Stroud Natural Health Clinic, and found he could give more of a personal service and give each client more of his time and focus. Personal training has unfortunately been associated in many people minds with boot camp style and army based training sessions where you are forced to do hundreds of push ups whilst being screamed at by a lycra clad trainer, fortunately Brandon does not embrace this form of training and uses a non-aggressive approach to exercise and nutrition. The benefits of good nutrition coupled with regular exercise is undeniably the corner stone of health, yet so many ignore the basic principle of “use it or lose it”, Personal training is best thought of as a preventative medicine that ward off some of the most dangerous and life threatening conditions, cancer, heart disease, obesity, osteoporosis, diabetes, to name a few. Many people approach Brandon with very specific goals, whether it’s shifting a few pounds, building up strength for a sport, or after an injury or illness or maybe just some toning needed for an upcoming holiday or wedding.